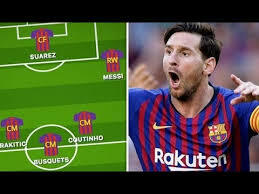 Barcelona include Messi in squad to face Real Madrid in Copa del Rey Clasico semi-final – Royal Times of Nigeria. 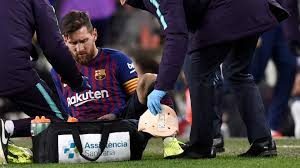 Barcelona have named Lionel Messi in the squad to face Real Madrid in today’s Copa del Rey semi-final first leg, but will “wait until the last moment” to decide if he plays. The Argentine returned to training on Tuesday after suffering a thigh injury in Saturday’s two-two draw with Valencia. Today’s tie at the Nou Camp will be the first of three El Clasico’s in twenty-five days, with the second leg on Wednesday, the twenty-seventh of February and a La Liga encounter on Saturday, the second of March. Forward Ousmane Dembele is also unlikely to be fit for the first leg at the Nou Camp, as he is still recovering from a hamstring injury. Real Madrid have everyone available apart from defender Jesus Vallejo, who is out with a muscular issue.